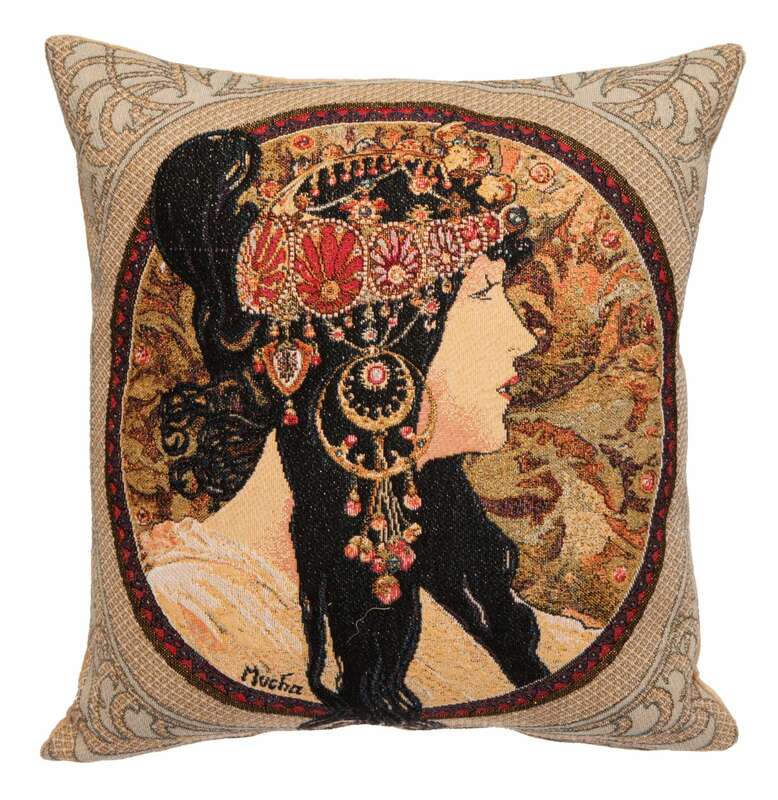 This Museum Collection gobelin cushion cover shows a famous illustration by Alphonse Mucha, (24 July 1860 – 14 July 1939), Mucha was a Czech Art Nouveau painter and decorative artist known best for his distinct style. He produced many paintings, illustrations, advertisements, postcards, and designs. This cushion is woven in Belgium on a jacquard loom with mixed fibres. It is lined with a beige velvet backing and closes with a zipper. 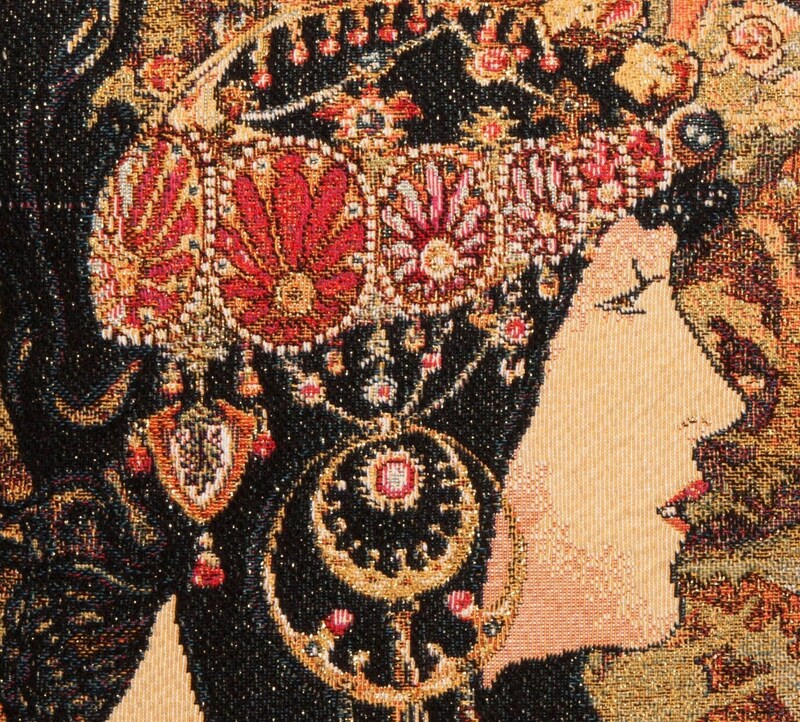 The gobelin quality is obtained by a denser, thicker weft and as such is somewhat heavier than the regular tapestry quality. Absolutely beautiful pillow. I will be buying more. Beautiful pillow cover! Especially with a down insert. I adore this cushion cover! !